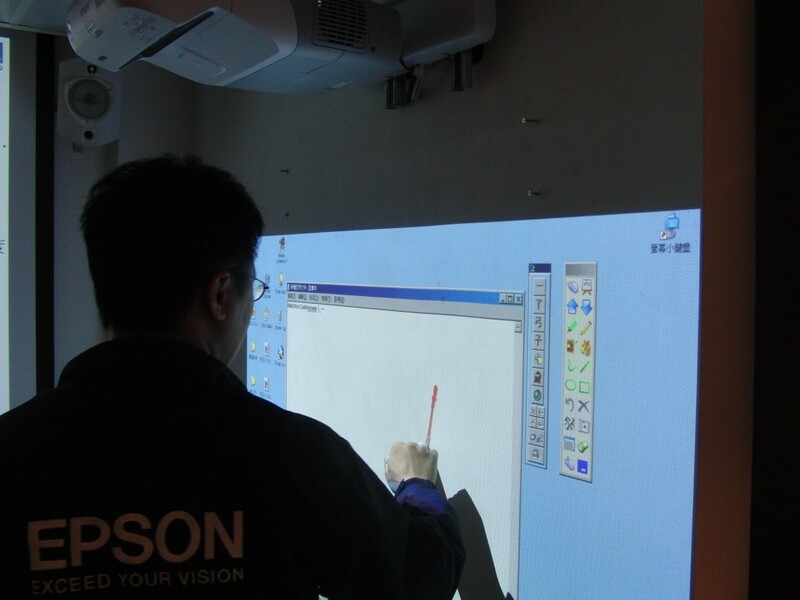 I didn’t know how fortunate I was to get a hands on look at Epson’s trend breaking new projector as the only model in Hong Kong is heading back to Epson Japan next week after a short stint in Epson Hong Kong. Myself and @mrdinhk headed to Cheung Sha Wan in Kowloon to kick the tires today. It sure is ultra short throw. Shortest I’ve ever seen. Nice sharp image. Screen size on demo was about 60 inches wide-screen. 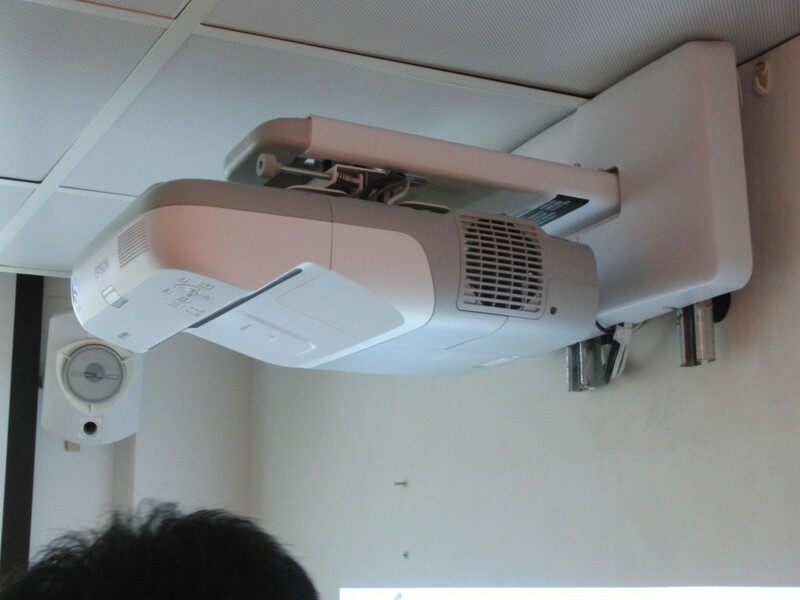 Projector is wall mounted and is able to be pushed and pulled back and forth. Air filter and bulb replacement requires no demounting; panels are within easy reach and accessible. The pen was quite thick with a certain solidity to it due in no certain terms to the 2 x AAA batteries inside it. The price of a replacement pen? 100 US Dollars!! Jaw drop moment! As @mrdinhk pointed out you can get a bag of Promethean pens for the same price. From working in a primary school the price of the pen is a major drawback. Things go missing and get dipped into yoghurt from time to time. Turn on time is very quick from cold. Was very impressed; about 40 seconds. Agent said if turned on straight after being turned off it will take a few minutes. Turn off time was very quick also with Epson quick to state that only .3 kw of electricity is used when the projector is in the off state. 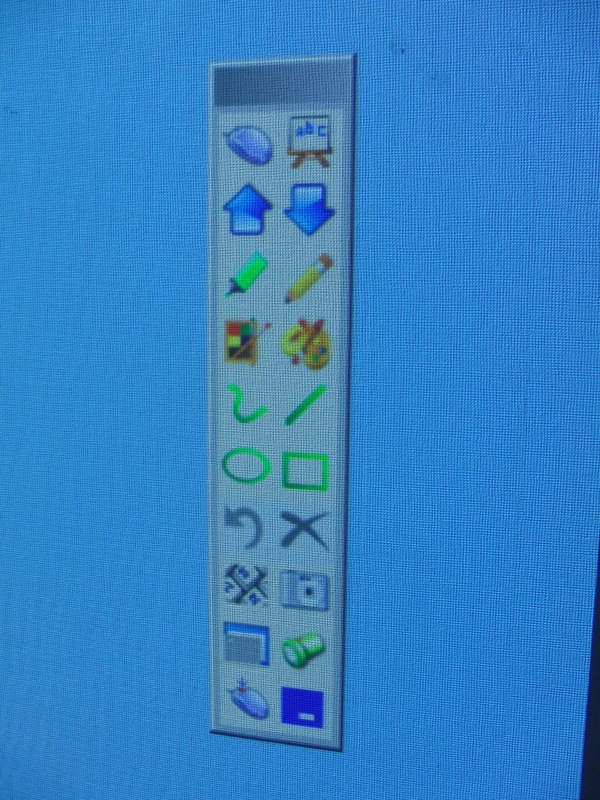 The software bundled is very basic with the usual suspects making an appearance; the highlighter, the spotlight and the snapshot. 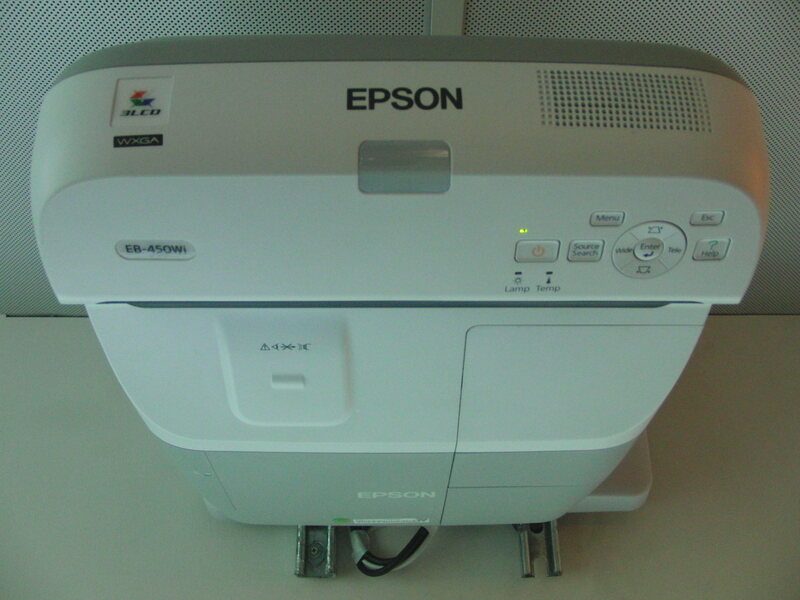 Unfortunately Epson were a bit behind on their knowledge of other software from IWB giants like Promethean and Smart. They did promise to download the trial of ActivInspire and get back to us to tell us if there’s any problems. I’m presuming most schools who buy the 450Wi will use their pre-existing software or purchase one of the big guys’ software. Calibration of the pen is quite a thorough process with, if I recall correctly, 23 point for normal set up and 70(?) for an even more precise calibration. 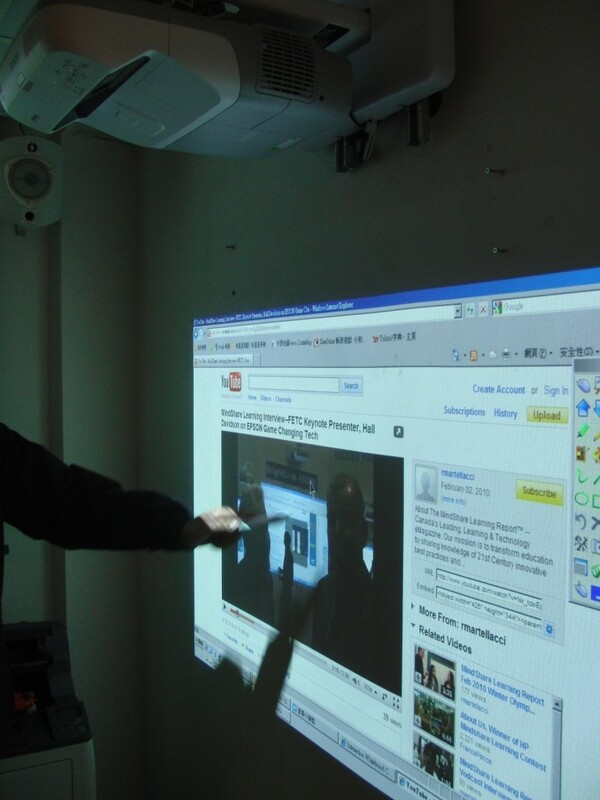 You have to admire Epson for this product; it certainly will change the way projector and interactive whiteboard companies look at their future products. Am I interested? 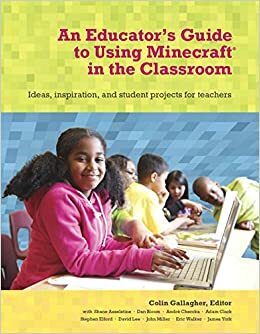 Ummm kinda but from looking at current prices of Promethean we would probably get a Promethean with a cheap projector and installation for the same price as a 450Wi. Are the advantages of not having a bulky fixed IWB enough to warrant the purchase? At the end of the day an IWB is an IWB in the classroom and it’s the software that allows teachers to create their own interactive lessons which really makes the difference. I saw no major flaws in the user experience between the pen and the wall. I will say using it was quite loud(!) as the wall they had was hollow and textured and I would like to use it on a normal whiteboard surface or plaster wall. All in all, it didn’t blow our socks off and there definitely are some aspects that will need to be discussed at school before making a decision. But Epson certainly have something here and I am very interested to see how schools look at this new concept over the next year.